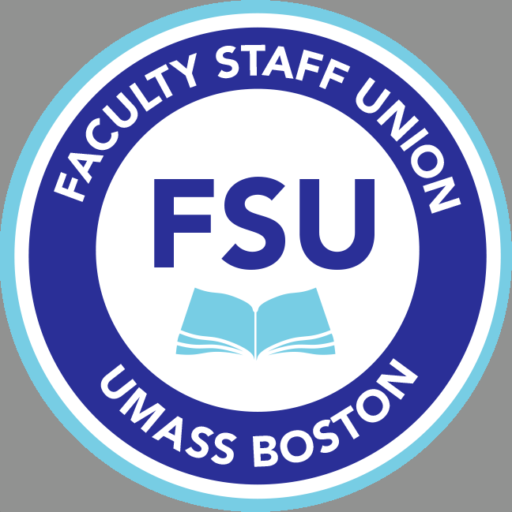 On Tuesday Dec. 16th, 10 members of the FSU/MSP joint bargaining team, FSU Staff member Lorenzo Nencioli, MSP Staff member Lori Reardon, and our MTA Consultant Mickey Gallagher met with three members of management’s bargaining team to discuss the current status of the contract and the conversion of FSU NTT members to the rankings and promotional structure in the recently ratified contract. ●Increased research funds of $150,000 during AY 2014-15, $175,000 in AY 2015-16 and $200,000 in AY 2016-17 (currently it is $150,000/year). Fight the Proposed Take Backs! 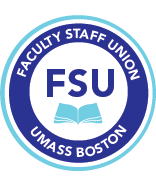 On Wednesday, September 17th, a delegation of union members from across the UMass campuses attended the Board of Trustees meeting at UMass Lowell to protest the give-backs at bargaining. We were asking that the Trustees tell the President and universities to “take back the take-backs.” For the FSU, this means limiting sick leave accrual to 120 days.